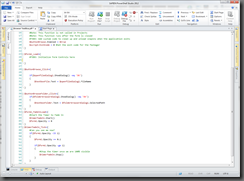 What is PowerShell Studio 2012 you ask? PowerShell Studio is the next step in PrimalForms’ evolution. The new name better represents what PrimalForms has become as opposed to what it once was. Since version 2009, PrimalForms was no longer limited to simple Forms generation. It allowed you to write your event handler scripts without leaving the application. 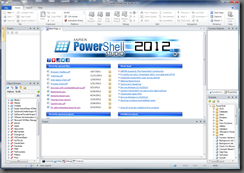 PrimalForms 2009 also introduced to ability edit PowerShell scripts for the first time. 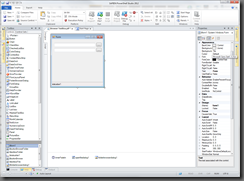 In version 2011, PrimalForms became a fully featured editor with a built-in debugger. The name no longer fit the product and was a limiting factor as to what the software truly represented. And thus was the reason we rebranded the 2012 version of the product. 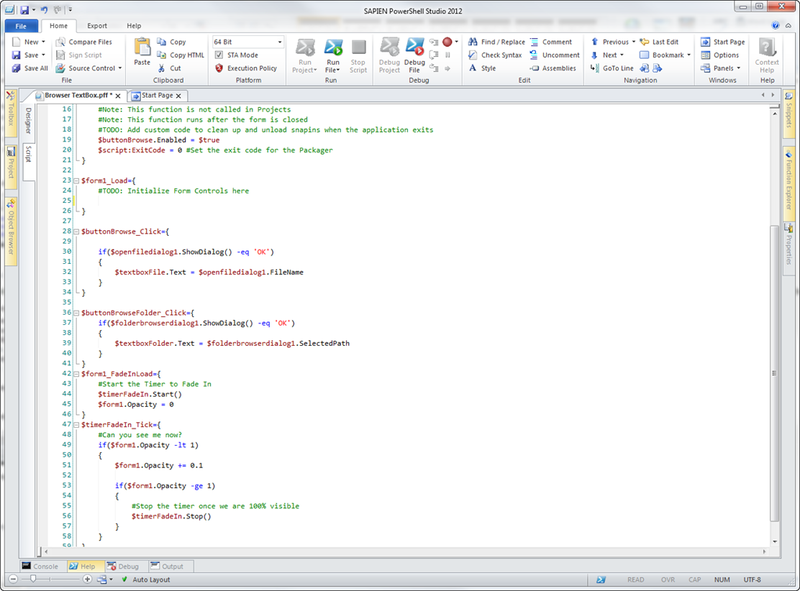 But there is so much more to PowerShell Studio 2012 then a simple name change. In this blog series we will cover many of the new features and changes you will find in the new release of PowerShell Studio 2012. One of the first changes you will notice if the updated Ribbon. The Debug Tab has been integrated in the Home tab, so you no longer have to switch between Tabs. A new Help Tab was added, which gives you quick access to important web pages, help and allows you to check for product updates. 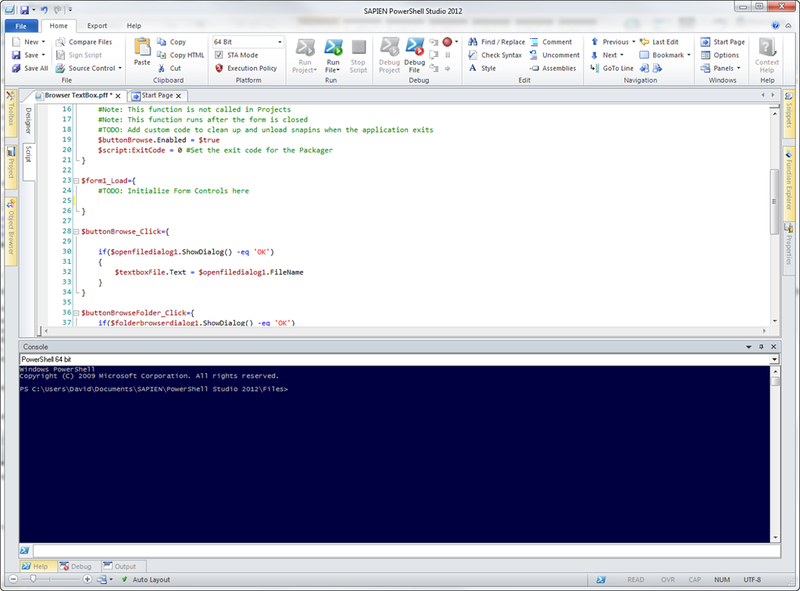 You can now select the color theme for PowerShell Studio 2012. Select from theme colors: Black, Blue, and Silver. 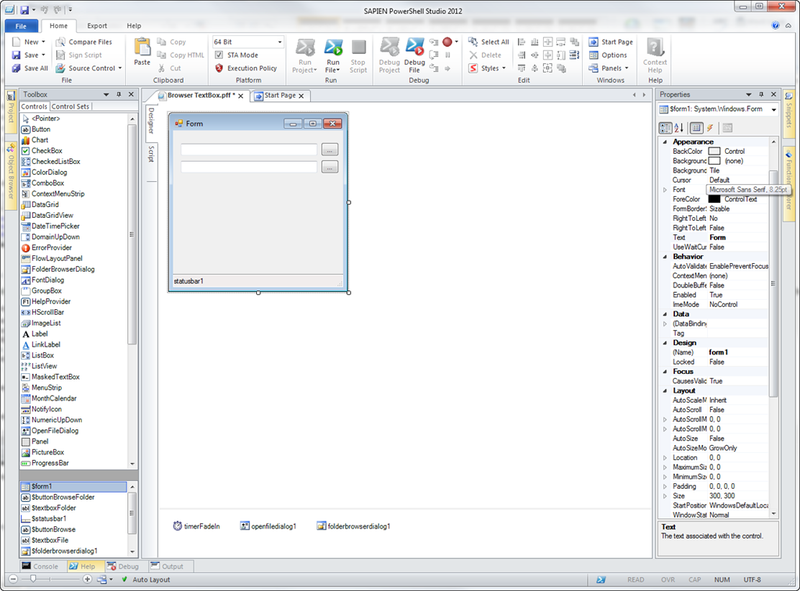 PowerShell Studio allows you to save and load predefined layouts to customize your environment to fit your needs. The Layout popup allows you to quickly change the environment, so it only shows the panels you need when working either in the Editor or the Designer. As you can see, you have the option to save your own custom layout or choose from the predefined layout. 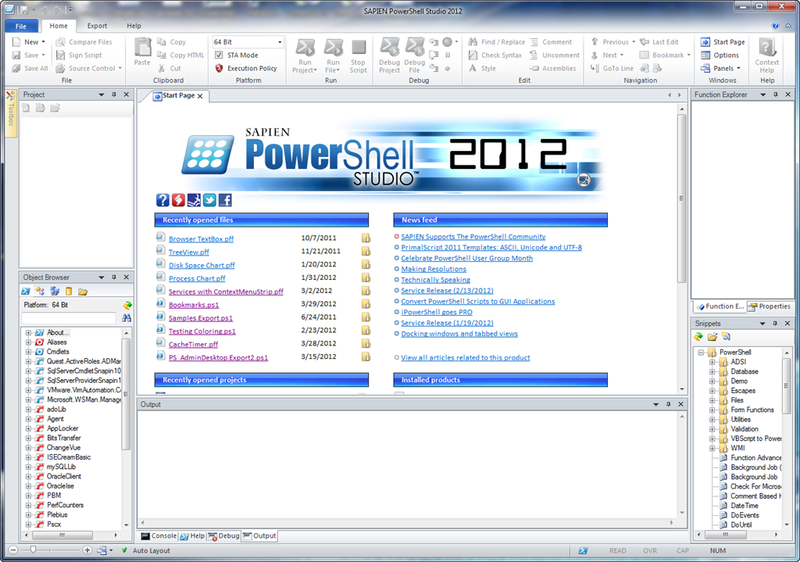 Here are some sample layouts at are included with PowerShell Studio 2012. For those who want to maximize their scripting real estate. 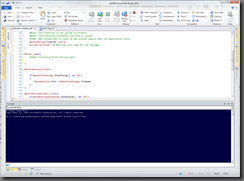 For those PowerShell ISE lovers who want to script and work in the console at the same time. For those working in the designer and only want designer specific panels to appear. Depending on the task you are performing, certain panels are not required. It is in situations such as this where changing layouts becomes very useful. For example, when working in the designer, you need not see the Snippets or the Output panels. Whereas when you are working in the editor, you no longer need the Toolbox panel. For this reason PowerShell Studio allows you to define layouts, which are automatically triggered depending on if you are editing a script, working in the designer, or debugging. Another new feature you may have noticed in status bar is the Font Size Slider. The Font Size Slider allows you to quickly change the font of the script editor, without having to go into the options. Next: Part 2 – A look at the new designer features.